Download your copy now - only $31.45! The E-M1 II in plain English! 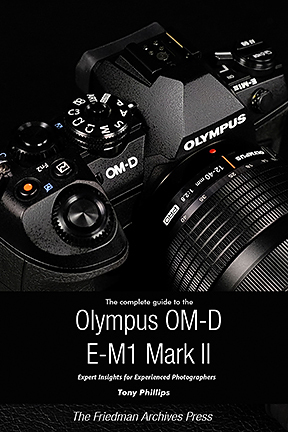 Written for Olympus’ outstanding E-M1 Mark II camera, this is This is EVERYTHING E-M1 II explained in easy to understand language! It is the Manual on Steroids and much more… In it, I assume you are a photographer, so I don’t dive too deeply in to the basics of photography. Everything comes with clear tutorials and examples. So if you’re uncertain about anything your E-M1 II does, grab this book! It’s packed with clear tutorials and examples, with over 500 tips, tricks, and tweaks to help you master photography with your E-M1 II. And you can try it risk-free - read on for details! The OM-D E-M1 II is a great camera that implements sensor-shifting in order to achieve a whopping 50 megapixels out of its outstanding Micro Four-Thirds sensor! Its engineers also gave it one of the most customizable and nuanced user interfaces ever. While a good move, even experienced users will sometimes need help getting their arms around all of the different permutations of features or groups of features spread across different menus. In this detailed and easy-to-read reference, professional photographer Tony Phillips simplifies the complexity and provides the shortest learning curve for this infinitely-configurable camera. * Is packed with over 500 tips and tricks to help you master photography with an E-M1 II. * Includes all the author’s camera settings - with explanations. * Explains why all glass (Olympus lenses) are not born equal. * Provides an explanation of every function in plain English, with relevant menu items grouped together so you can get a good feel for all of the features' dependencies. * Includes a step-by-step guide to Wi-Fi & the Smart Phone app, including cool things to do with it. * Has a great, rational exploration of RAW vs JPG. As a bonus, the author (hey! I’m trying to entice you to buy my book! ), gives everyone who buys his book a PDF copy of “Phone Companion Settings”. This 46-page booklet (valued at $5.95), is for your phone – to take the full E-M1 settings list with you, with EASY explanations for each menu item. It’s fully hyperlinked, and only a few days in, customers were already reporting how valuable they find it to be. This BONUS is ONLY available from the author. Find out how to obtain it in the book. But Wait… There’s also an added bonus – an XLS spreadsheet listing all the camera settings with a brief explanation of each, the author’s own recommendations, and space to note your own settings. 2) For those of you who prefer traditional printed books, this work is also available as a printed and bound book that will be mailed right to your door. It's available in both Color and Black-and-White from print-on-demand publisher Lulu.com. The color version is a little more expensive than your typical book, but as some readers have reported, significantly cheaper than printing the .pdf file on your inkjet printer. 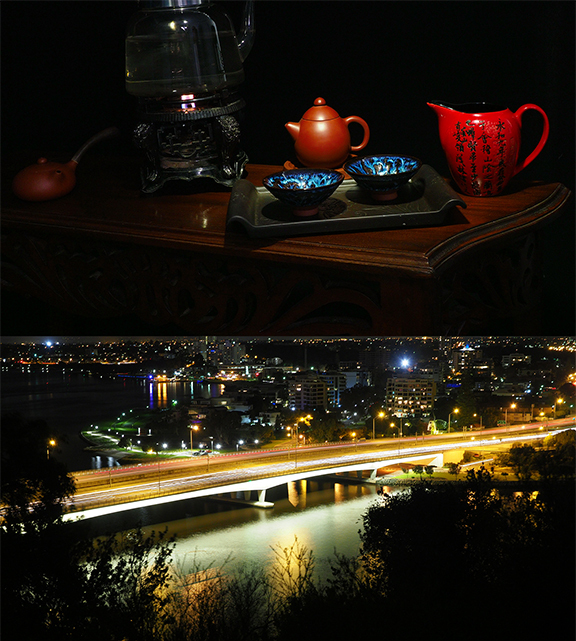 Tony is an author, photographer, pilot, teacher, and lecturer, and has a long-standing passion for photography. To date he has 12 published books on photography. Two on Olympus cameras, and Five on Fujifilm X cameras. He is recommended by MirrorLessons as one of 6 Authors of Mirrorless Camera Manuals Whose Books You’ll Actually Enjoy Reading. His book on the X-Pro2 was headlined in Fujifilm’s blog as “The Most Comprehensive Guide on the X-Pro2”. He conducts photographic seminars on the fundamentals of digital photography through to advanced lighting.